The elegant and sporty Worldmaster Valjoux features a stunning blend of contemporary design, accuracy and rugged charm. 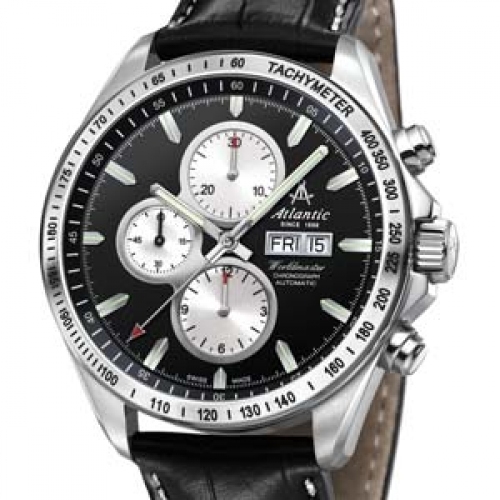 Testifying to the Atlantic watchmakers’ flair for details, great care has been devoted to the finishing. The hand-applied hour-markers make a subtle contrast with the tachometer and the guilloché chronograph counters and small seconds subdial, while the sapphire crystal enables one to admire the Vajoux movement adorned with a Côtes de Genève motif.